"We are proud of our reputation for top quality products and workmanship"
"Our gorgeous new j-375 hot tub from Wittering West that you installed in our garden recently. Thanks for all you help, and great aftercare service. 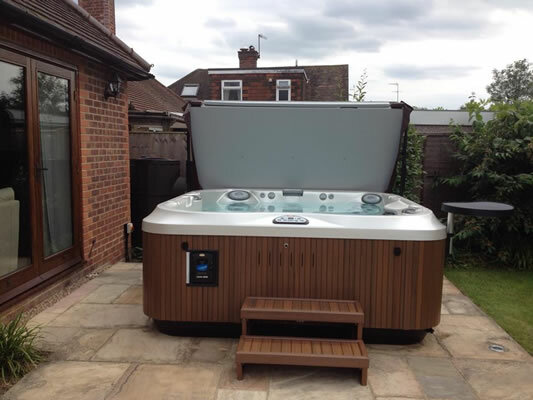 It was very useful being able to have a wet test at Jacuzzi® Longacres, and having compared the Jacuzzi® with three other brands, it was clear which one was the best." "Thank you so much for your patience, kindness and wonderful kitchen. You've been an absolute star throughout the design and all the other changes during our kitchen installation." "I am delighted with the results of my kitchen remodel and the entire experience. From my first visit Jason and Lisa were friendly and very helpful. The site was left clean and tidy as was possible. I was well informed at each stage and everyone." "Mark, Will, Lee and Darren were professional and so very personable. A big thank you to your work force. Just love my kitchen." "We were very impressed with the whole project involving "Our Kitchen". We cannot speak too highly of the various tradesmen involved in regards to their skills. Courteous and considerate behaviour whilst working here. We are very pleased with the end result." "Over the last six months Wittering West have been working closely with my wife and I to completely refurbish our kitchen. The refurbishment ended up taking our new kitchen to levels that we had only dreamed of. Its bigger, brighter, shinier and a pleasure to work in, thanks to you."